You’ll find that once you are a Wolverine, you are always a Wolverine. We are a family that works hard to better our skills, and we know how to have fun. 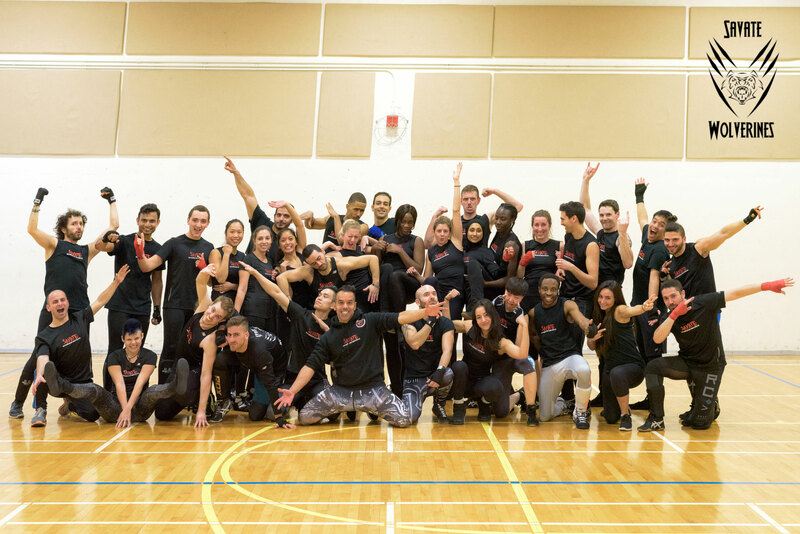 Established in 2001, the Montreal Savate kickboxing club, Wolverines, is one of the oldest schools in Eastern Canada. The longevity of this club comes at no surprise to anyone who is a wolverine, new to old. There is an unspoken bond, a comradery, among a group of individuals who are united not just by the core values that come with being a savateur but with the shared experience of the sweat, blood, and tears. They are guided by a leadership that embraces the virtues of martial arts to coach, motivate, and inspire their students confidence, fitness, and most importantly their well being. Step up, learn for yourself the bonds you will create for a lifetime and find your limits then pass them, here at Savate with the Wolverines. Savate is about staying fit and healthy on every level, spiritually mentally & physically. The extensive workout we do in our training sessions pushes our physical body limit to another level. Developing to the right mindset to acquire skills such as focus, timing, strength, precision, target acquisition, foot work, technique, speed, power, efficiency, and tactics is essential. There are moments of rest when the instructor motivates our mental mindset, this helps bring ones best forward and discover new dimensions within ourselves and the sport. We pursue far more than excellence. We pursue perfection. We train for every situation, in the ring and outside the ring. We aim to create people that are calm inside and controlled outside of the ring, yet fighters inside the ring. Fear of disappointment is a drive for some, fear of losing is a drive for others. In Savate, passion for the sport, keeps you going. This sport is about developing a multidimensional mind that handles any situation. BY EXCELLING WITHIN OURSELVES WE CHALLENGE OTHERS TO DO THE SAME. When we bring our best self forward in Savate, it feels good. You feel fresh, confident, and driven. You feel inspired because you are doing something for yourself and your body. This feeling is contagious. When you feel this energy, the people around you start to feel it too. When you push yourself to up your game, it motivates them to do the same. Since the age of 10, Raf has practiced various martial arts, they included:Judo, Karate (Black Belt) (Style: Kyokushinkai, & Shotokan), Capoeira (Batizado as “Braza” and of course Savate. In brief, Raf being competitive by nature participated in competitions with a good amount of success winning a number of tournaments and championships. Fan has been a student of various martial arts from a young age. In secondary school, he began boxing, Muay Thai, and wrestling. 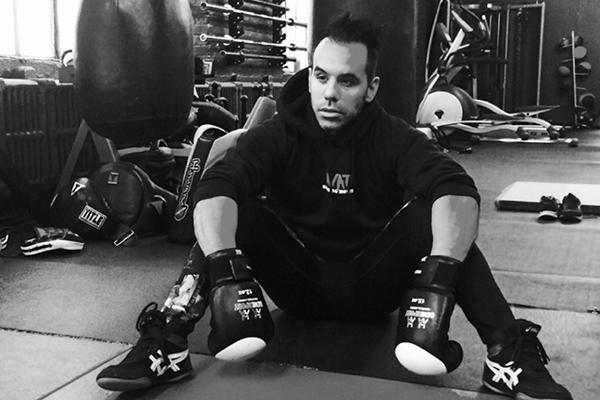 It was during college that he discovered his passion for Savate kickboxing, which he has continued to practice for over 10 years under the tutelage of Raphael F. Estevao. During this time, Fan has participated in numerous national and international Savate competitions, including representing Canada in the Savate World Championships.